Whistler Mountain OPENING this Saturday, Nov. 14 - that's 12 days earlier than the official opening day on Nov. 26. 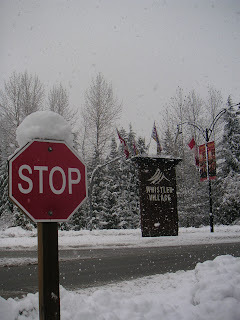 A series of storms have pummeled Whistler Blackcomb, dropping 70cm-100cm over the last seven days. Another 65cm of snow is expected to fall by Saturday. Our operations crews have been hard at work preparing the mountain, including our Snowmaking Team, which has more than 160+ snowguns blasting to compliment Mother Nature's white gold. Whistler Mountain is opening this weekend with upload via the Whistler Village Gondola. Skiing will be available via Franz's Chair, Emerald Express and Big Red Express. Early season conditions are in effect so keep an eye out for unmarked rocks and obstacles. Please stay within the ski area boundaries and obey all mountain signage. Groomed runs are recommended. Early season lift tickets will be $59 this weekend and with Cornucopia running Nov. 12-15, there are great accommodation deals available.